Here’s one thing we never considered: a Tasker who has repeatedly been asked to mount things in inaccessible places—and succeeded. Think that’s unlikely? We did, too. But meet Jon D., a London Tasker extraordinaire who really knows how to get into those hard-to-reach spaces. After helping my son with a lot of DIY work on his first house, my daughter-in-law suggested trying out TaskRabbit. What has your most memorable task been so far? I was once asked to do a Furniture Assembly task that involved building four double Billy bookcases from IKEA. When I got chatting to the Client, who was very nice, it turned out that the plan was to use them not for books, but for the 300 pairs of shoes that she owned! What tasks are you most proud of? New light fitting in a vaulted kitchen extension about 15 feet off the ground. Fitting blinds to Velux windows on a pitched kitchen roof. Mounting a mirror high up on a stairwell wall. I was able to carry out all three by using a multi-purpose ladder in different formations. It’s big and heavy, so I don’t always carry it with me—a good reminder as to why it’s so important to assess a task before accepting! What are your top priorities when interacting with Clients? The Golden Rule: Treat Clients as I would expect to be treated as a Client. Get as much detail as possible before the task, and point out any potential issues. Point out manufacturing imperfections/damage to the Client before assembling flat packs, so that they can decide whether to continue or not. Explain what you’re doing, if you feel it’s necessary—e.g., using different fixings to those supplied if you think what you carry is better. Offer advice where you see room for improvement in related categories. It often results in returning Clients and many more tasks. You mentioned having advice for Taskers about doing IKEA flat pack assembly. When you do a flat pack assembly task, take extra dowels, screws, and smaller pieces with you. It gives you spares in case a future task has missing or damaged parts. And don’t worry–I’ve never had a Client think I forgot to use them! My weekends are less free, but my overall time during the week is much more flexible than it would be at an office job. I also meet interesting people, and I am doing something I enjoy! Some of the Taskers we feature here are also featured to TaskRabbit Clients, giving them even greater visibility. 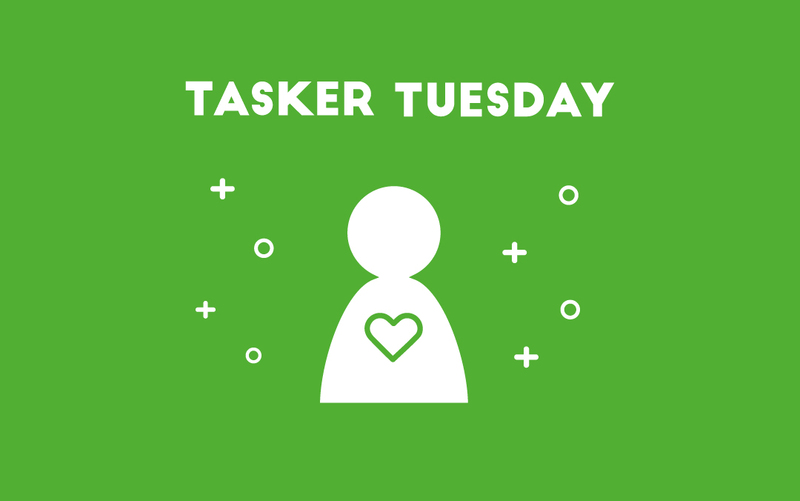 If you’re a Tasker and have a great story to share for our #TaskerTuesday series, fill out our survey here! always ready for interesting tasks!